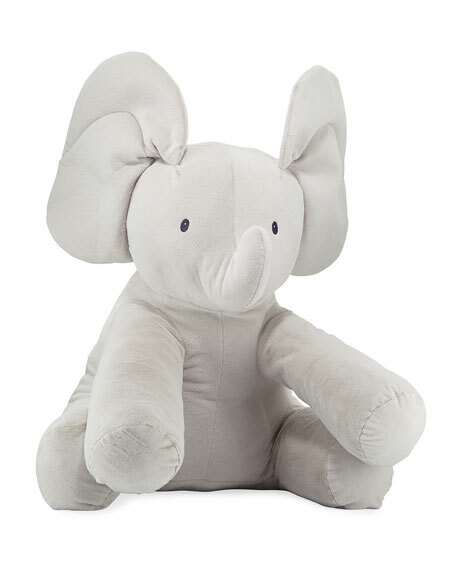 Little E, the cuddly elephant is here to make your little one's day! The giant ear and curled trunk are sure to delight at any baby shower. 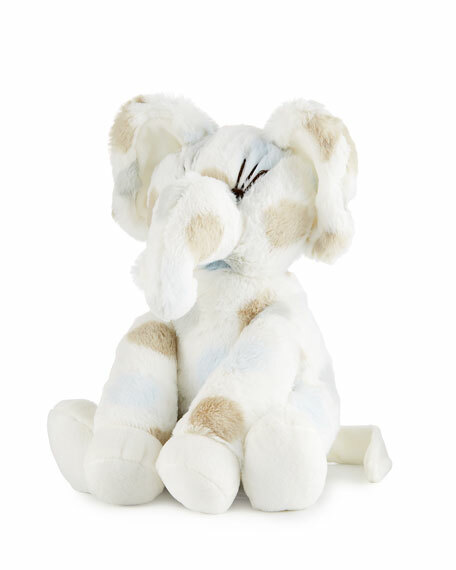 Super soft and sweet, this plush toy is the perfect addition to your nursery menagerie. 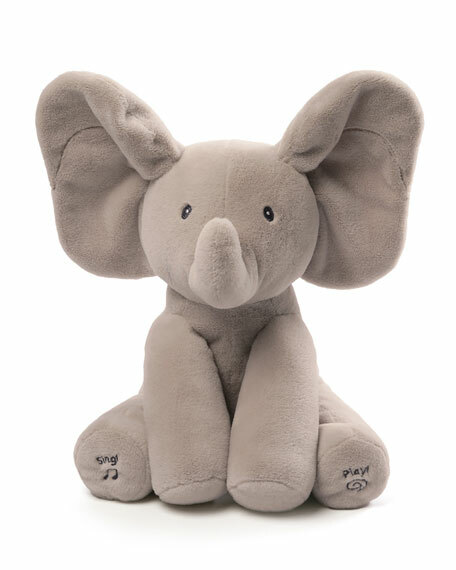 Little Giraffe Little E plush elephant. 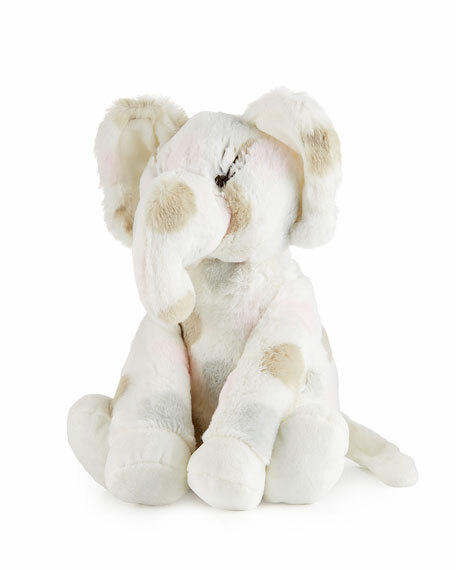 Comprised of our signature Luxe Dot faux-fur fabric, these plush toys are super soft and luxurious. For in-store inquiries, use sku #2457606. 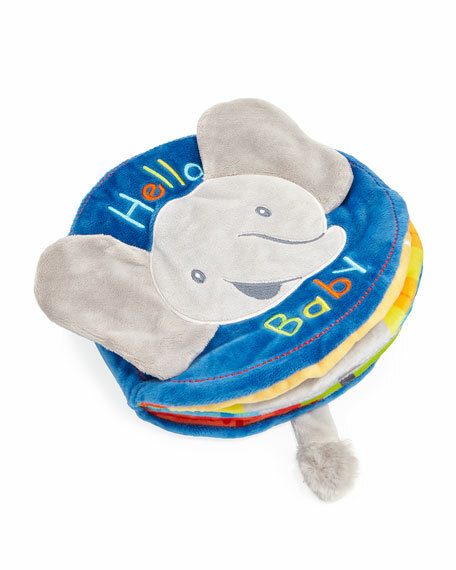 Gund Flappy the Elephant soft book features stimulating crinkle, ribbon for tactile play, and super soft plush pages. Clear carrying case included. Appropriate for all ages. 8"Dia. x 2"D. Polyester. Machine wash. Imported. Little Giraffe Little E plush elephant. Comprised of our signature Luxe Dot faux-fur fabric, these plush toys are super soft and luxurious. Polyester fibers; plastic pellets. Approximately 9"W x 12"T. Surface washable. Imported.